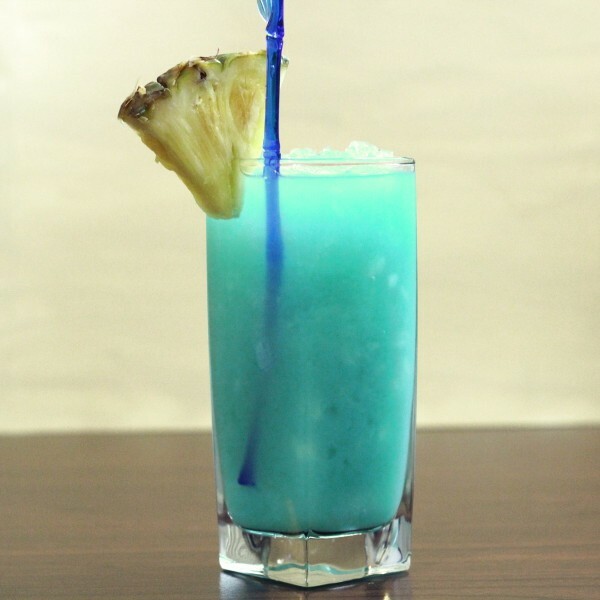 The Teal Squeal is a blue-green, blended cocktail that tastes mostly of pineapple, but also has hints of orange. There’s nothing particularly subtle about this one. This is a fun, fruity cocktail with an exciting look, and that makes it very impressive to serve to guests. You can blend up several servings of it at a party as you go so you’re never making just one drink at a time. Also, you’ve just got to love a drink that measures its ingredients in parts of “cups” rather than ounces, right? Pour everything into a blender and blend until smooth. 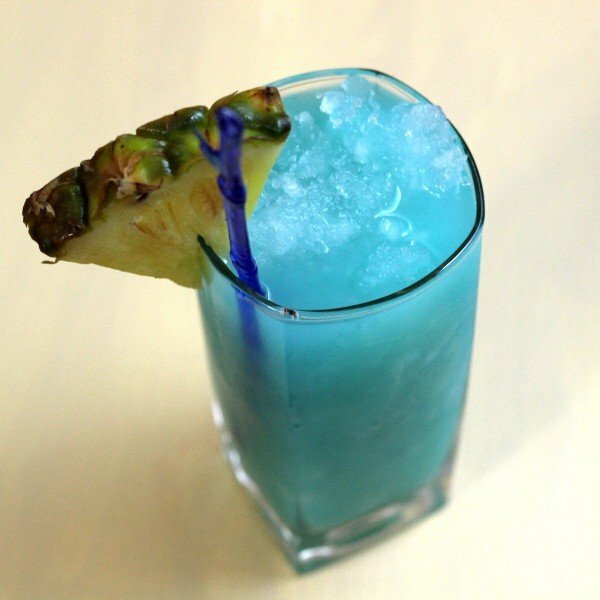 Pour the mixture into a highball glass and garnish with a pineapple wedge.